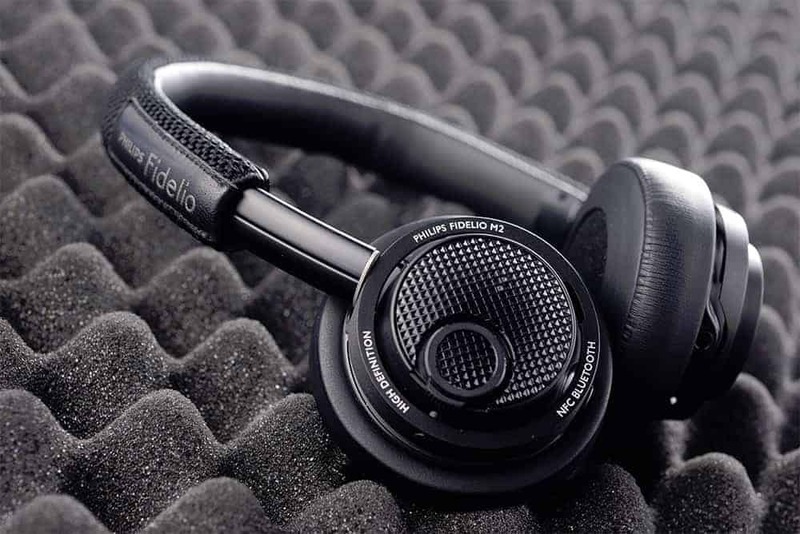 The Philips Fidelio M2BT is the successor of the Fidelio M1BT, which was the wireless version of the Fidelio M1. Since the previous model, Philips has fixed some major issues, such as muted treble and washed-out sound. This model costs over $300 and is aimed at outdoor use. 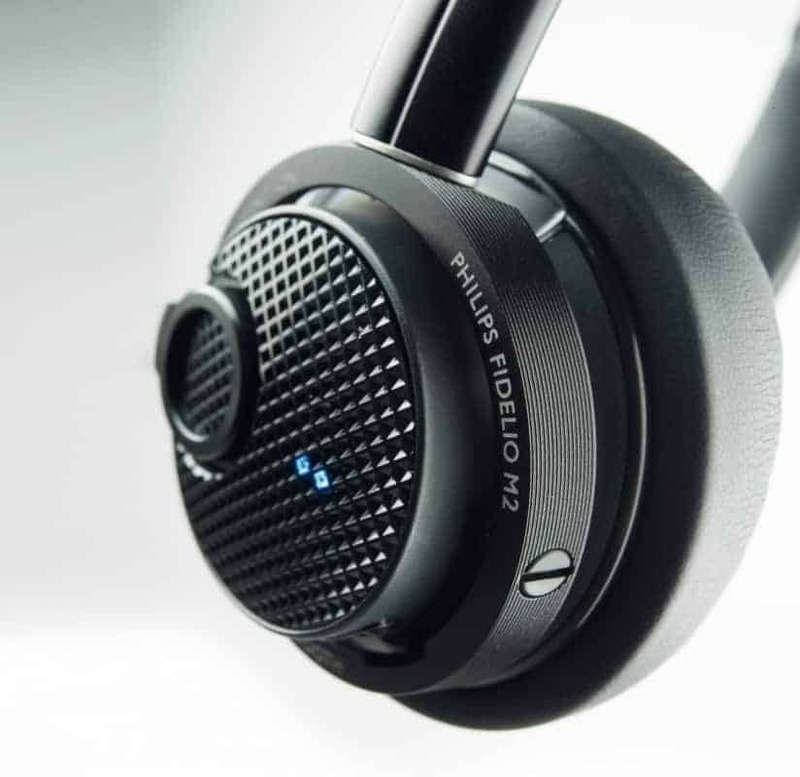 Let’s get to the rest of this Philips Fidelio M2BT Review. These headphones have a unique yet stylish design. The dominant feature is their diamond-like texture along the headband and the earcups. The brand and model name is printed and sewn onto the rims of the earcups and the headband right above the earcups. The material that the forms the diamond pattern of the headband is rib-woven with very strong fibers, giving it great flexibility and durability. The tension of the headband is pretty strong, which is great due to how on-ear headphones are often difficult to keep from slipping off of your head while you’re running around or working out. The leather ear pads are filled with memory foam, which isn’t that great of a feature considering how expensive these headphones are. 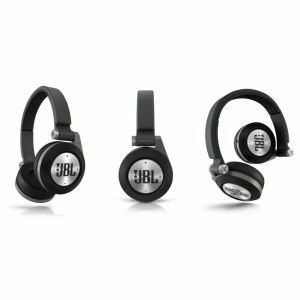 However, it does have great noise cancellation, which makes them perfect for tuning out or working out. On the right earcup of the Philips Fidelio M2BT wireless headphones are the controls for the headphones, including a power button and a volume adjustment button. In both earcups are two microphones that allow you to have binaural voice calls.. The drivers for these headphones are Bluetooth 4.0, 40mm neodymium drivers, which gives you fantastic sound quality. They also sport NFC tap-to-pair Bluetooth, which is the easiest of all connectivity options. All you have to do is hold your phone near the headphones and it automatically pairs. They also have Aptx, which is a great codec that provides far greater sound quality than the traditional Bluetooth codec SBC. These headphones also have AAC for iOS devices. There is a little controller that lets you take calls and change the volume when paired with an Android phone. When paired with an iOS device, both of these functions and the ability to skip tracks are available. However, the remote control functions and microphone only works when the headphones are used wirelessly instead of being plugged into your device. These headphones use a new type of DSP which gives you natural and balanced sound with slightly boosted bass. However, the bass doesn’t always sound artificially-boosted. Most of the time, they render the bass frequencies better than usual, which produces a natural sound. It’s solid with a great sub-bass that’ll give you shivers from head to tail. 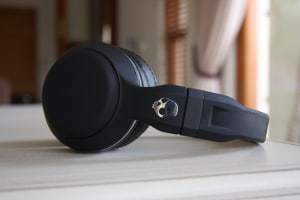 We found in this Philips Fidelio M2BT Review that the mids and highs of music played with these headphones is far clearer than most other Bluetooth headphones. However, this can be overpowered by sub-par noise cancellation. The battery life of these headphones is 11 hours, which is pretty decent for wireless headphones. But if you wanted a pair of great wired headphones, check out the Sennheiser Amperior Headphone Review.